1954: A daytime TV version of One Man's Family premiered. 1984: Knots Landing's Cathy screamed as Gary was "murdered". 1988: John Ingle played GH's State Commissioner of Police. Away To (Another World)" theme song for the last time. 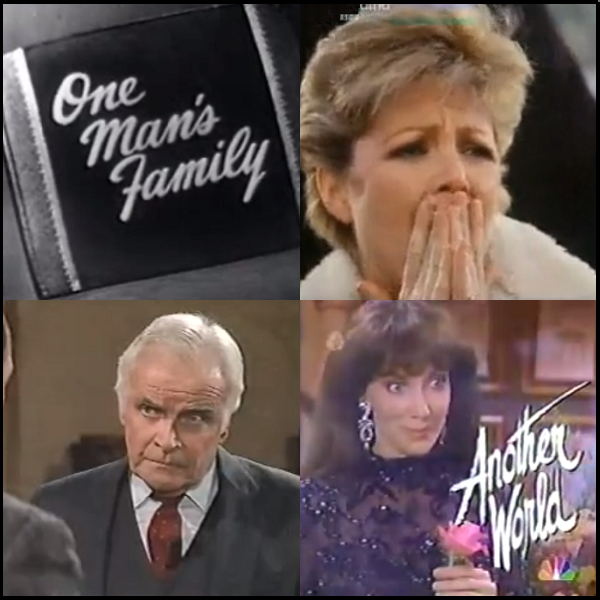 1954: Daytime soap opera One Man's Family premiered on NBC-TV. The series began as a popular radio serial in 1932, created by Carlton E. Morse. The first TV version (November 4, 1949 - June 21, 1952) aired in primetime once a week for a half-hour, using the original 1932 storylines. The Daytime TV version of One Man's Family ran until April 1, 1955. The series continued on the radio until April 24, 1959. 1976: On Ryan's Hope, Roger (Ron Hale) insisted that Ed (Frank Latimore) call the police, believing Seneca (John Gabriel) was guilty of homicide in Nell's death. 1978: On One Life to Live, wayward wife Karen Wolek (Judith Light) was developing real feelings for her husband Larry (Michael Storm) and the couple made love. 1979: Randall Edwards debuted as Delia Reid Ryan on Ryan's Hope. 1984: On Guiding Light, Mindy Lewis (Krista Tesreau) worried she might be pregnant with Phillip Spaulding's (Grant Aleksander) baby. Phillip was busy planning his wedding to Beth Raines (Judi Evans) with his aunt, Alexandra (Beverlee McKinsey). Meanwhile, Beth's evil stepfather, Bradley Raines (James Rebhorn) called Alan Spaulding (Christopher Bernau) from jail demanding Alan get him a lawyer. 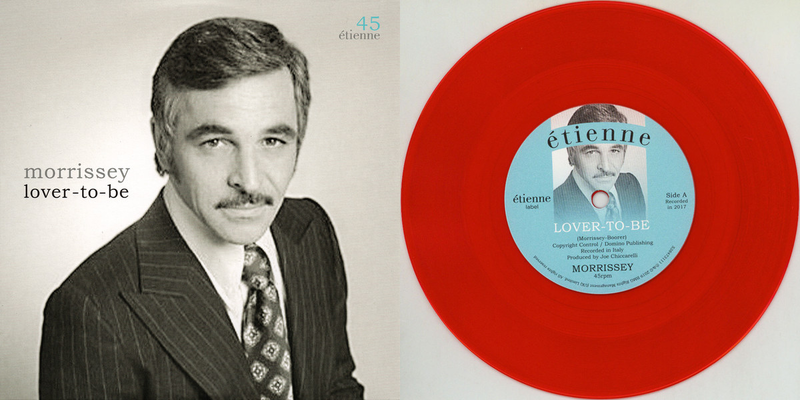 1984: On The Edge of Night, Calvin Stoner (Irving Allen Lee) married Didi Bannister (Mariann Aalda). 1984: On Knots Landing, Greg (William Devane) tried to get Gary (Ted Shackelford) to unfreeze his assets. Gary reported this to Mack (Kevin Dobson) who told him to keep the assets frozen, as it would force Wolfbridge's hand. Ray spied on Gary and Cathy (Lisa Hartman). Gary told Karen that if Abby cheated her, he would make it right. Val (Joan Van Ark) found out that the other two men with Ben were found dead. She wanted to go to El Salvador, but Karen said she would only be putting her babies at risk. Val was upset and called Gary, sobbing, who told her to come out to the ranch. Mack drove out to the ranch and was talking to Gary when a shot rang out. Mack called Karen and tells her that Gary had been murdered, just as Val pulled up. 1985: On Dallas, Pam (Victoria Principal) and Sue Ellen (Linda Gray) continued looking for Mark in Hong Kong; Eddie tried to win back Lucy; J.R. completed his illegal sale; Jamie took the job with Cliff; and Donna's oil company had a big success. 1988: On General Hospital, the State Commissioner of Police, played by John Ingle, arrived in Port Charles. Ingle returned to the soap in 1993 to replace David Lewis in the role of Edward Quartermaine. 1990: Michael T. Weiss aired for the final time as Mike Horton in Days of our Lives. 1990: On General Hospital, Olivia Jerome (Tonja Walker) was abducted right before her trial started. 1993: On The Young and the Restless, Sheila Carter (Kimberlin Brown) blackmailed Lauren Fenmore (Tracey Bregman) to keep her quiet. 1996: Another World aired the "You Take Me Away To (Another World)" theme and opening for the final time. The theme song debuted in March 1987, while the computer-enhanced opening first appeared on October 26, 1987. 2005: On Passions, Eve slipped up and told Whitney (Brook Kerr) that she had put herself at risk for having a second baby with her own half-brother, Chad. Later, Fox (Justin Hartley) asked Whitney to marry him, but she said no. 2013: Actress Bonnie Franklin, best known for her long-running role as Ann Romano on the sitcom One Day at a Time, died at age 69. Her final role was Sister Celeste on The Young and the Restless in 2012.